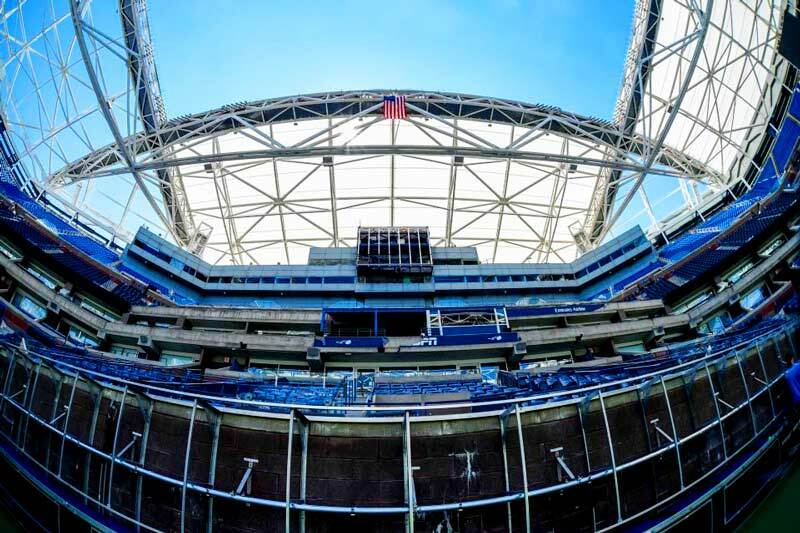 constructing a stand-alone support system for a retractable roof over an existing stadium. 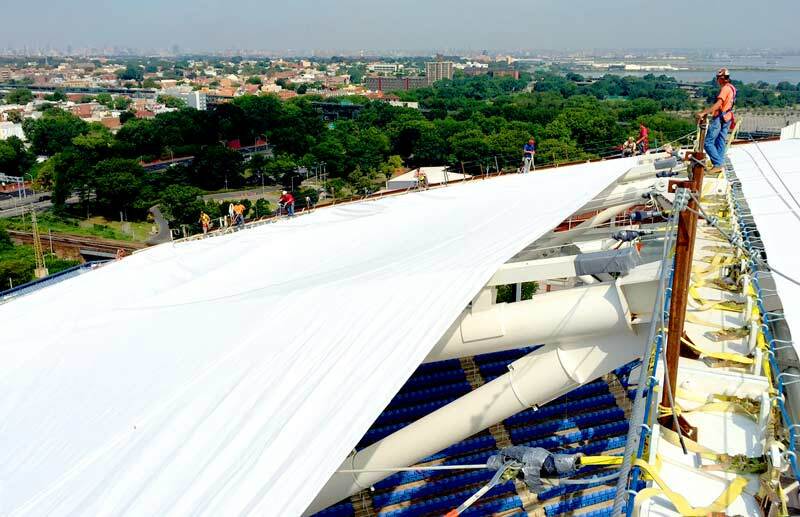 Since the roof is not yet complete, though, the organizers were worried about shadows from the roof elements causing problems for the players on the court, so they ordered temporary shades, built with over 60,000 square feet of Comtex White from Polyfab USA. 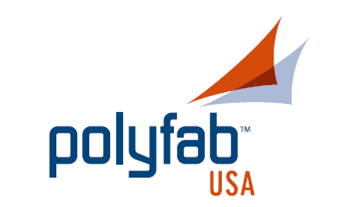 The shades were built by Solar Shade USA LLC of Rich Hill, MO. and installed by Birdair, Inc.